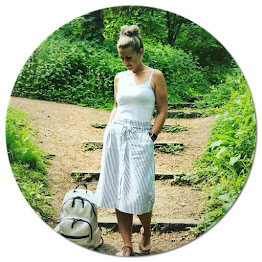 Firstly I would just like to say a massive Thankyou to Jo over at pickleandpoppet.uk for tagging me to take part in the #RockingMotherhood tag. Please head over to her site to see how she's #RockingMotherhood. I feel like us Mum's put so much pressure on ourselves to be "perfect"- to be the women who appear in all of those parenting books. But in reality it can be the complete opposite. Parenting is a bloody tough job to do but it is also the most rewarding. Motherhood, I feel, is such a personal experience, we can share similarities in our stories, but we can never share the same experience. I am a mother to 3 beautiful children, all 3 of my children are their own person & completely different to each other, & my experience as a mother has been completely & utterly different with each child. Motherhood, for me, has been a huge learning curve, I'm still learning daily as my children change & grow. Some days are better than others, it's not always easy, but the best way to deal with it is to embrace all the good & also the bad. We spend so much time as parents worrying about if we are doing it right, feeling guilty majority of the time & wishing we had done things differently. 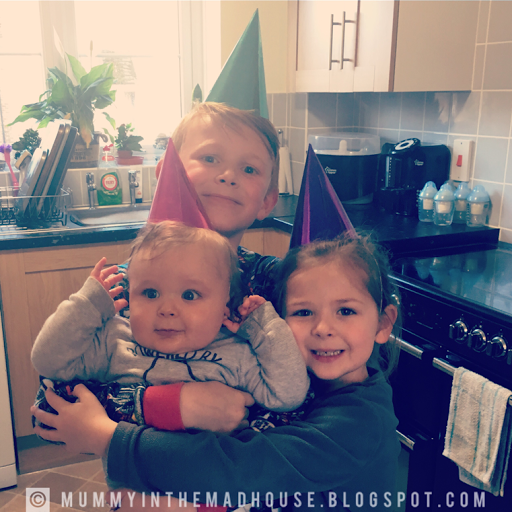 So today i want to be positive about my mothering skills & have written a list of 10 reasons as to why I'm #RockingMotherhood. 1. I housed 3 babies for 9 whole months & have given birth. As mothers we unselfishly give up our bodies for 9 whole months,(if not abit longer if your one of the unlucky ones like me & have gone way overdue!) & endure all the horrendous things that pregnancy has to offer (not in everyone's case, some are lucky to have glowing, enjoyable pregnancies, not even the slightest bit jealous😳). Not only that we then have to birth the baby! It can be the most amazing, painful, humbling & frightening experience us Mums have to go through- Us Mums totally rock! 2. I have managed to keep not one, not two but THREE humans alive! I've been Parenting for nearly 9 years now, you would think I have mastered this whole mothering marlarkey, well I haven't, I'm still learning even now, but being able to keep my children alive & well is a huge achievement for someone who couldn't even keep her pet hamster alive! 4. I'm a Mother of many talents. I am a Mother first & foremost, but I am not just a Mother. No, No, No. I am also a Cook, Cleaner, Nurse, Referee, Photographer, Handyman, Walking Cash Machine & so on & so on. But I wouldn't have it any other way. 5. I never take my children for granted. There is never a day that goes by that I don't count myself the luckiest person in the world to have my 3 babies. (Most of the time I count my blessings like this when they are sleeping soundly in their angelic little poses)- I'm obviously completely joking😳. 6. I have made many mistakes & I will always let my children know when I have made one. I tell them when I have made a mistake or if I am the one in the wrong because I need them to know I am not perfect. I am a human & making mistakes is okay. We are not infallible. 7. I support & encourage my children in all they choose to do. They may not always listen to me or make the right choices but we all learn from our mistakes & I will always be here for them the best I can be. 8. I have suffered Mini Breakdowns. How is this Rocking Motherhood? I hear you say. Well as Mum's we juggle a lot of responsibilities cooking, cleaning, nurturing, organising etc.. Sometimes, these obligations intersect in a perfect storm of stressors. If you were totally lazy or just didn't care about the people affected by all what you do, then you could let that stress fall away pretty easily. Couldn't you? However a conscious, responsible person (i.e. 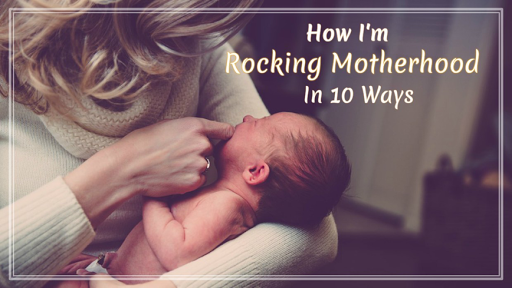 Rocking Mum) will have a much harder time shrugging off the stress & might end up collapsing in a ball of tears or a pillow throwing, foot-stomping tantrum. Which I unshamefully have experienced numerous of times & will continue to do so. 9. I always put my children's needs before mine. It doesn't matter what it may be my children will always be put first. Whether that's me singing "If your happy & you know it" for the hundredth time in that one day because my baby absolutely loves it, even if I don't feel like it, or if that means me having to go hungry because the children are hungry so they need to be fed, or if I've saved up my pocket money to splash out on that new top I've been eyeing up, but the children have come home from school with X,Y & Z that needs to be paid for then the money will always go on them. 10. I love all 3 of my children unconditionally. More than anything in this world. For all the things I'm not so great at, for all the mistakes I make. I truely believe the reason that I'm Rocking Motherhood stems purely from my love I have for my children. I think this is the reason why we are all #RockingMotherhood, we may have different methods & do different things, but we all love our kids with a passion that is scary. To make sure the motherhood love continues to spread, I'm going to tag some other lovely mummies. I look forward to reading your reasons why you rock. List 10 things you believe make you a good mother (this is just a guideline. It can be more or less than 10. I really don't mind). 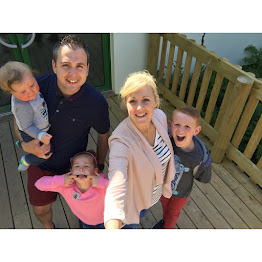 Tag 3-5 bloggers to join in the #RockingMotherhood Tag. I look forward to reading all the reasons as to why you are #RockingMotherhood & so would Pat so if you tweet your post to @whitecamelias & @gemma_horlock we will be happy to RT them for you.